Providence Academy is wheelchair accessible, participants in wheelchairs must be able to move unassisted or with the help of a personal attendant. Tour involves climbing stairs. People with limited mobility may use a small elevator by request. 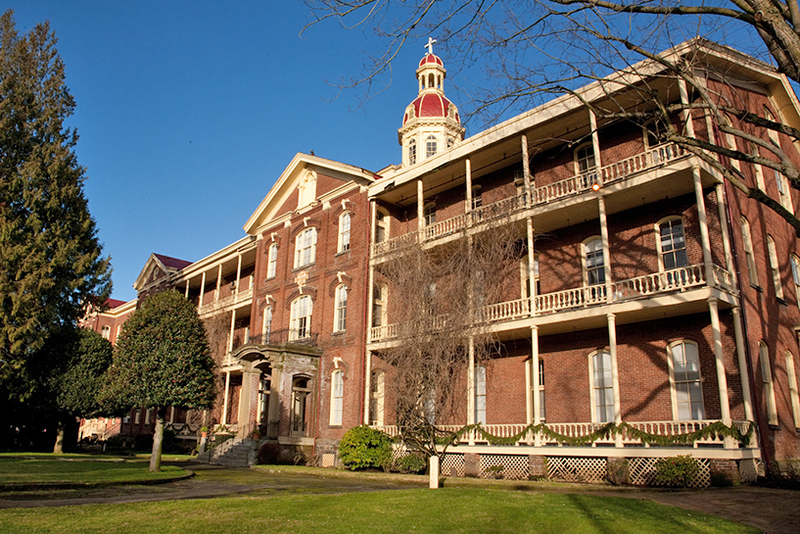 Providence Academy was built by Mother Joseph of the Sacred Heart in 1873 and served as a school, orphanage, and governance offices for the Sisters of Providence. Mother Joseph, along with four other Montreal nuns, traveled to Vancouver to serve the social and religious needs of locals. She raised money for the construction of the House of Providence and 32 other charitable institutions by leading begging tours of local mining camps. Providence Academy has four stories and is constructed in brick in a neo-Georgian style. It operated as a school until 1966. Click the thumbnail image in the lower bottom far right to see a short video of the history of Providence Academy.